If you’re looking for a unique activity for an upcoming birthday party, give GameTruck San Jose a call. Hosting a birthday party takes lots of planning and effort whether it’s for a child, teen, or adult. You’ve got to figure out your budget, decide on a venue, determine the guest list, and worry about the invitations, food, drinks, and decorations. But probably the most important decision is the entertainment – so your guests are sure to have a great time. Since themed birthday parties are all the rage, this year why not take a totally unique approach and host a video game party? The best part of this idea is that the “party” comes right to you. 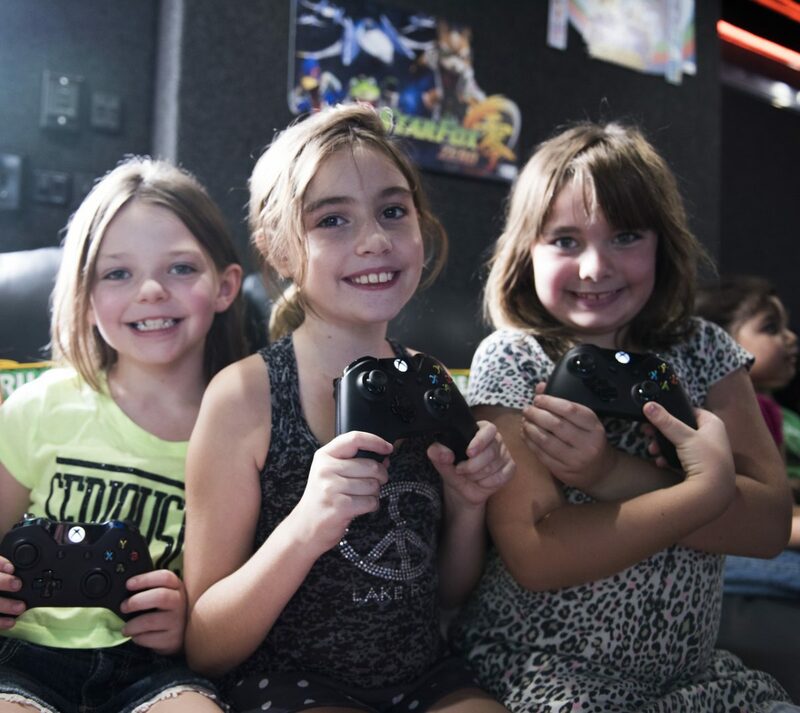 Inside GameTruck’s state-of-the-art mobile gaming trailer your party guests will enjoy a climate controlled game theater with comfortable couch seating for up to 16 players, plenty of TVs, the latest video game consoles and loads of new and classic games. Under the supervision of your Certified GameCoach, guests of all ages can participate in individual or team competitions that keep them entertained and engaged for hours. We’ve got years of experience hosting exciting video gaming events with a soft spot for birthdays – we even help you with your digital party invitations. So, GameTruck comes to you, surprises and delights your guests for hours and is reasonably priced – that checks off a lot on your party planning “to do” list. Give GameTruck San Jose a call today at 866-253-3191 or click here to get a quote. Check out reviews from lots of our happy customers here.